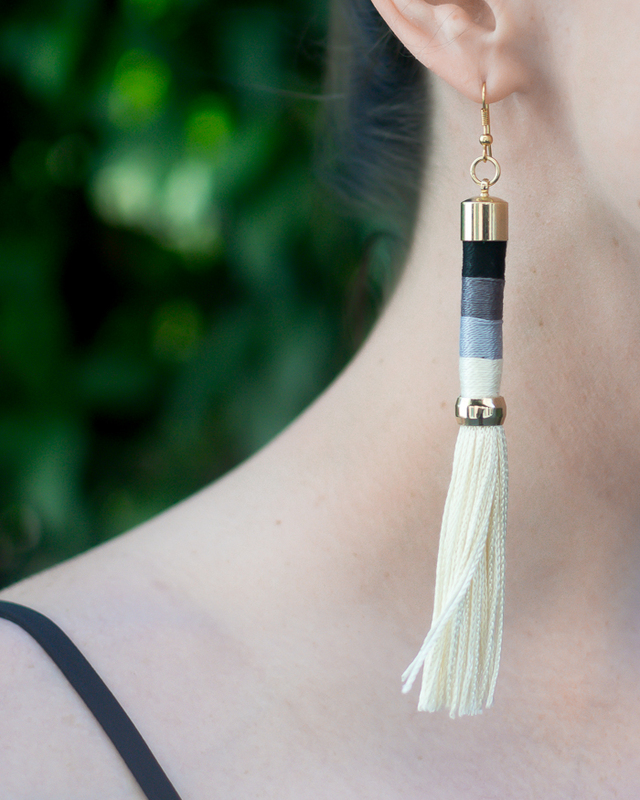 The fringe on these drip-dye tassels is unique with a white-to-navy ombre effect. Can’t decide between hoops or tassels? These are for you. I featured these in my jewelry roundup last week, and I haven’t stopped thinking about them since. I’m torn between the royal blue and turquoise. These full silk tassels come in navy and coral. Kate Spade knocked it out of the park this season with these pompom tassel earrings that come in a rainbow of colors. The yellow pair is my favorite. These $15 silk stunners are long enough to graze your shoulders. They come in green and turquoise. How cute is this pair of clustered tassel earrings? The petite size is perfect if you don’t want to go overboard with the fringe. These neutral color-blocked beaded tassels will go with all of your summer LBDs and LWDs. These beauties come in eight colors to choose from. All about color this year? Try these.